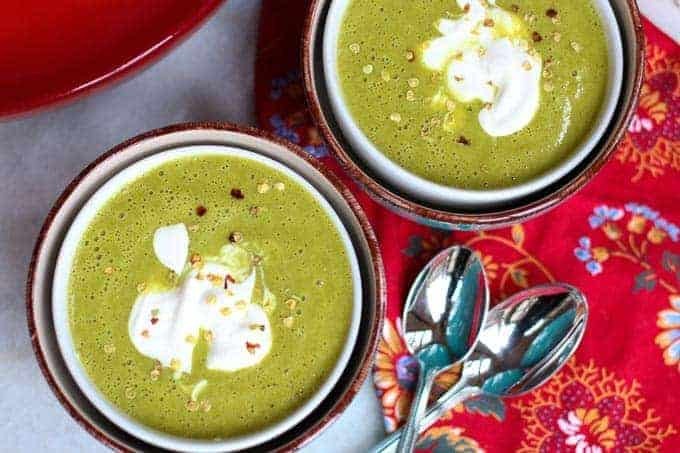 This Zucchini Curry Soup is so creamy and flavorful you would never guess it was healthy for you. It is simple to make and absolutely delicious. Bam! Straight masterpiece! Just kicking it in the kitchen at full speed. 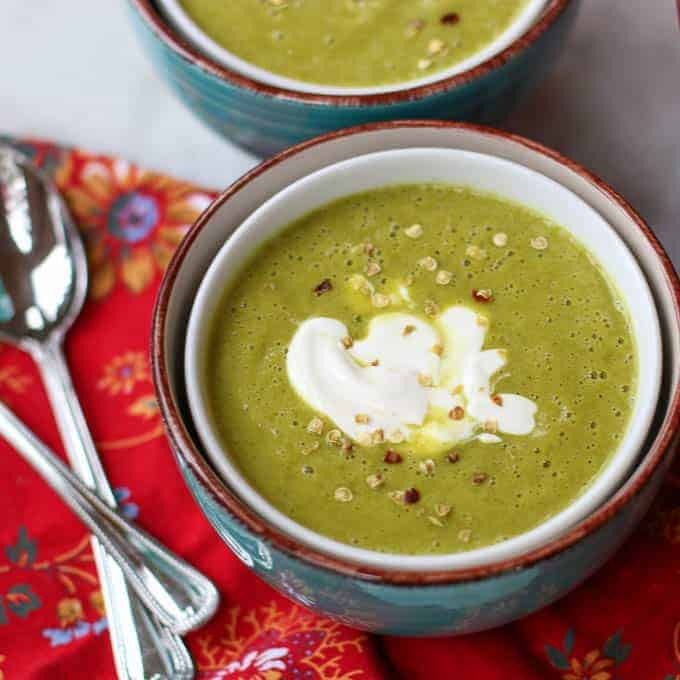 This Zucchini Curry Soup Recipe is so packed with yummy flavor you won’t just want seconds, you will want thirds. The red curry turns up the heat and takes it up a notch. This soup is spicy, creamy, full of flavor, and very filling. You will have no idea you are eating something healthy. Don’t scoff at the ingredients. I am not trying to fool you. I know those ingredients look way too healthy to taste good. But let me tell you; this is the kind of recipe a fine dining restaurant would serve as a first course. Or you can do like I do, and eat it as an entree. Because again, you will want room for thirds! I have made it several times for myself and friends. Everyone has loved it. Now you can enjoy it too! 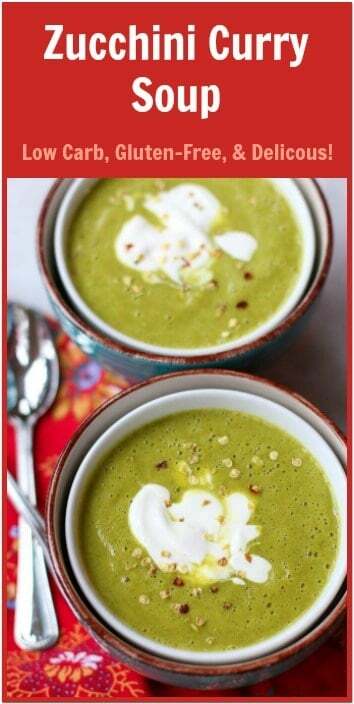 Zucchini Curry Soup is very simple to make. In a large pot, combine onion, zucchini, curry, olive oil, and a pinch of salt. Cook over low heat until softened. You don’t want it chunky, so make sure you pulse to a nice, creamy puree. Taste and adjust for salt and pepper. 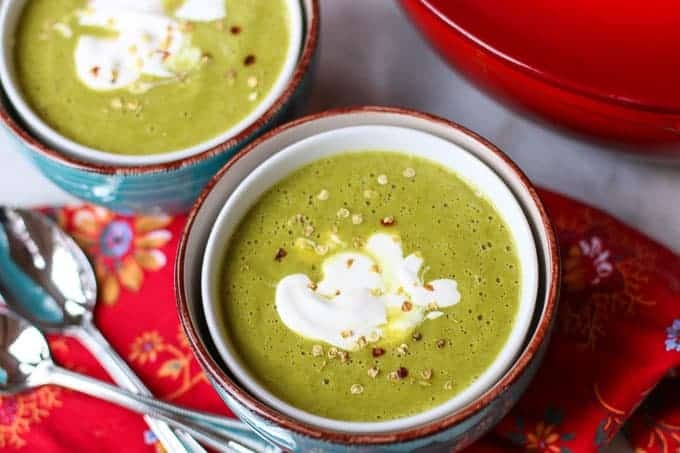 Top with sour cream or greek yogurt. And wa-la! You have your own masterpiece. Now go kick it in the kitchen! *Red Curry Powder not only adds a great flavor, it has a number of important health benefits and healing properties. These include: protection to the immune system, prevention of cancer, protection against heart disease, reduction of body inflammation, reduction of Alzheimer’s disease symptoms, and helps the liver remove toxins from the body. For more great soup recipes, check out these: The Best Tomato Basil Soup, Carrot Ginger Soup, Gazpacho, and Tiered Tomato Soup Shooters. 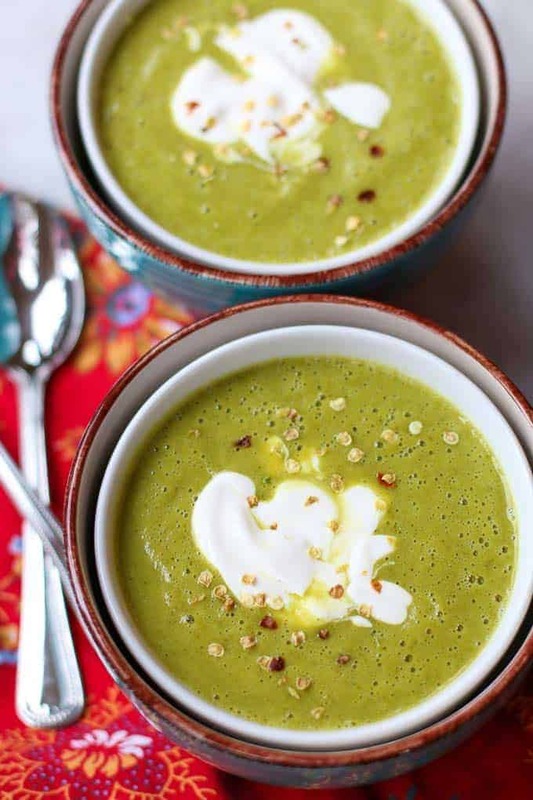 This Zucchini Curry Soup Recipe is so packed with flavor you won't just want seconds, you will want thirds. This soup is spicy, creamy, and very filling. Cut onion and zucchini into pieces. Add olive oil to a stock pot. Add vegetables. Add curry and a dash of salt and pepper. Sauté until softened. Add chicken broth. Cover and cook for 20 minutes. Add entire cooked mixture to a blender or food processor. Pulse until it is completely creamy, smooth, and no chunks. Pour into serving bowl. Garnish with tablespoon of sour cream or plain greek yogurt. Serve. Oh my gosh! That sounds AMAZING! Love the crab addition! I make this soup every year during zucchini harvest and our local crabbing season. I add about 1/2 to 3/4 cups of Dungeness crab to a soup dish, then pour in the zucchini curry soup and garnish with cilantro on top. Delish! I am ready for a new take on zucchini and this is IT! Spicy and creamy? Zucchini and curry? I’m so in. Can’t wait to give this a whirl! You are killin’ it lately with all your healthy recipes! I have a ton of organic zucchini in my weekly CSA share and I’m running out of cooking ideas for them. I adore curry and spicy flavors so this recipe is on my list to make next week for dinner. And leftovers means lunch the next day(s). Oh yeah! !